This article serves to inform and report a disturbing issue regarding one common kind of salads and the outbreak of listeria. Namely, this infection originated from Dole salads, produced in Springfield, Ohio, and ended with a warning by the CDC on January 22nd, 2016 against them. Listeria is, in fact, a foodborne bacterial illness that can have a detrimental effect on pregnant women and individuals with weakened immune systems. Its occurrence can be a result of raw meat, unpasteurized dairy products, and unwashed products. This infection can, raw meat and unpasteurized dairy products. In the case you experience muscle pain, nausea, diarrhea or fever, you must consult your doctor. According to the CDC, 1,600 people get sick and 260 people die due to listeria infections annually in the U.S. The last statistically important listeria outbreak was noted in 2012. Beginning in September 2015, CDC has started a cooperation with the FDA and public health officials in order to inspect the outbreak of Listeria monocytogenes infections (listeriosis) that took place in several states. This involved 6 states Massachusetts, Michigan, PennsylvaniaNew Jersey, Indiana, and New York. Patients were aged from 3 to 83 and included a pregnant woman. This ended with 1 person from Michigan dead of listeriosis, and 12 hospitalized. By now, there is no proof that Dole packaged salads at other processing facilities throughout the United States are related to illness. Yet, it was not just the U.S. that was affected by this issue. Namely, the listeria outbreak was also developed on the north and involved products in Canadian supermarkets. These products may be recognized By the code which starts with the letter A. 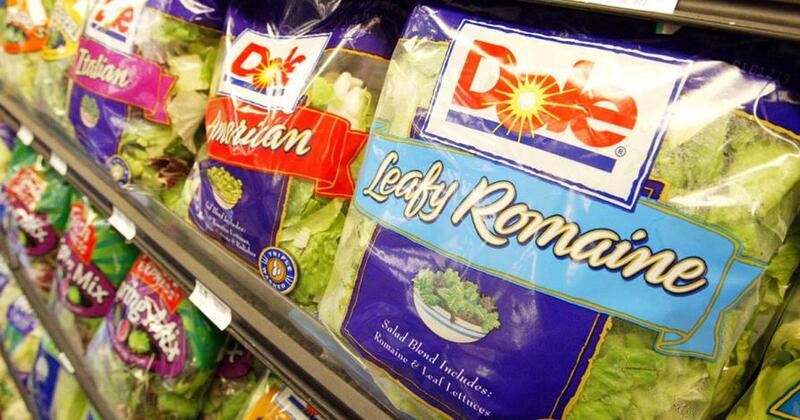 The federal recall of the CFIA applies to 48 kinds of the Dole pre-packaged chopped salads, as well as salad blends and kits, and 9 different kinds of PC Organics brand leafy greens. Fortunately, there is no report stating that the bacteria has affected Canadians so far. Due to these issues, on Friday, January 22nd, Dole Fresh Vegetables informed the FDA that the processing facility in Springfield would temporarily stop the operations. Moreover, they also willingly withdrew their products processed there, from the market. In order to avoid their consumption by other people or animals, you should throw the salad in a closed plastic bag in a sealed dustbin. Using soap and hot water, wash the drawer of your fridge, where you used to keep these products. Also, thoroughly wash all the cutting boards, utensils, and surfaces you use to serve or store salads in your dishwasher or using a soap, hot water, and a sanitizer. You can also use the mixture of vinegar and hot water for the same cause. Note that you need to wash your hands as well afterward, using a soap and warm water. After preparing uncooked foods, you need to wash all cutting boards, knives, countertops you have used, as well as your hands. You should keep the fridge at 40°F or lower and the freezer 0°F or lower, in order to prevent the development of Listeria monocytogenes in the refrigerated foods. You should clean all spills in the fridge, from raw meat, raw poultry, hot dogs, and lunch meat packages. Every week, use a soap and hot water and clean the shelves and the inside walls of the fridge. Furthermore, before you eat or prepare them, you need to rinse all raw foods, even the ones that will be peeled, under running water. Use a clean brush to scrub firm products like cucumbers or melons. Use a paper towel or a clean cloth to dry the foods after rinsing. Also, you should separate vegetables, and cooked foods from raw meats and poultry.